Since our very first project, designing a 12th floor penthouse terrace above Hyde Park, London has evolved into a myriad of terraced roof landscapes. 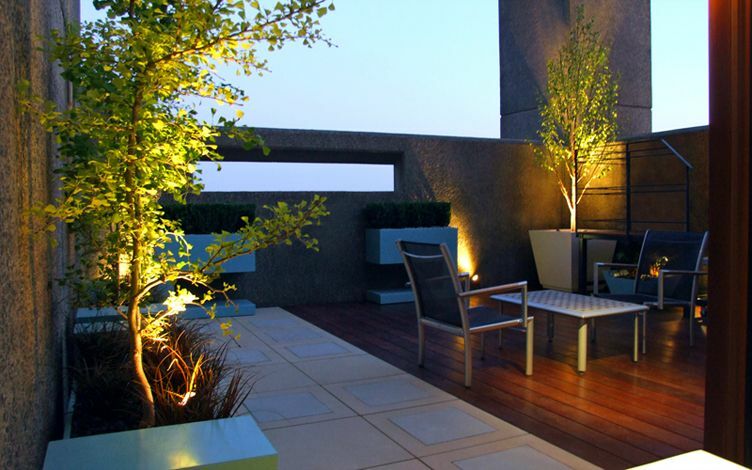 When a new client approaches us with the keys to a new apartment, following a major renovation or simply relocating, there's always a great buzz in creating fresh master plans for a contemporary penthouse roof terrace design. Look anywhere around London, and an opportunity to connect with the urban landscape, generating energy in a personalised hovering paradise, is thriving continuously. 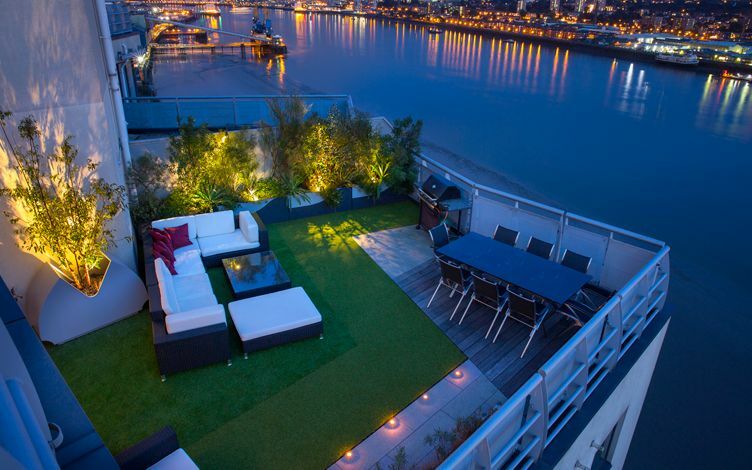 London penthouse terraces form a distinct gamut of architectural, designer rooftops within duplexes, triplexes, wrap-arounds, wharves, warehouses, old schools and brand-new developments afront Thames' riversides. Clients who favour this lofty lifestyle tend to individualise their properties, where an intimate perspective provides auspicious insights to develop innovative design concepts. 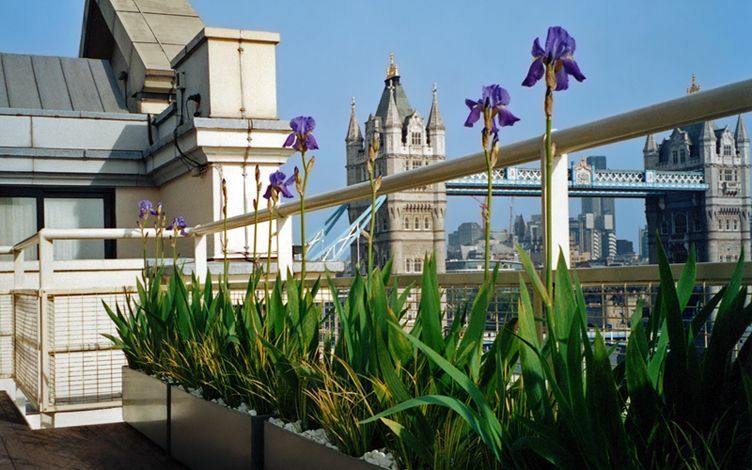 More than anything, it's the fascinating London city skyline which sustains an immersive urban roof garden design experience, as after all, what's better than to customise an altogether inspiring, personal bird's-eye view? 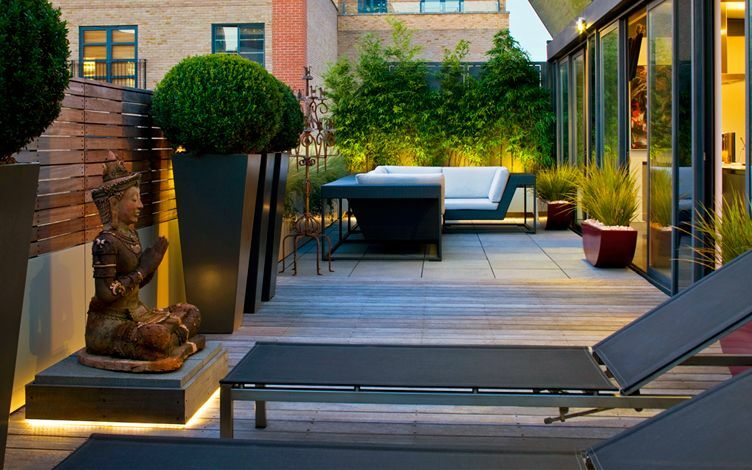 We transform an open roof terrace into an absorbing sky garden, while London's ever-changing, atmospheric ambience defines a blue-grey daylight spectrum, where designing a discerning continuum of perceptive colour palettes, foliage reflections, planters, furniture and lighting forms a pivotal element in delineating an outdoor dynamic. 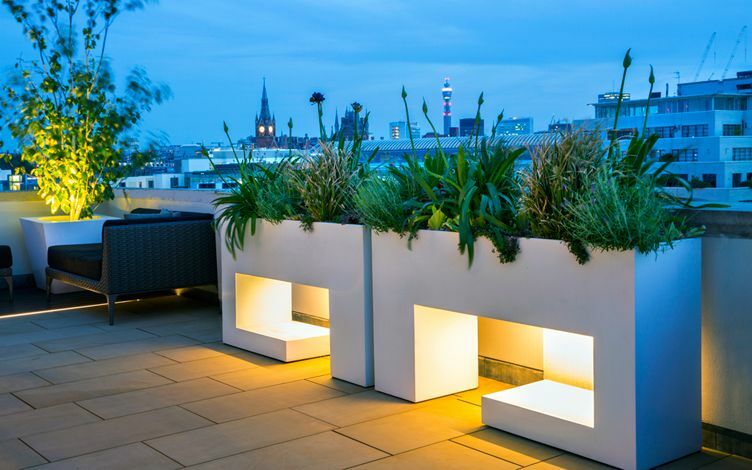 This skyward outlook ought to thrive for our clients day in and day out whatever the weather, by developing roof terrace garden designs which embrace London's urban essence. Constant heat, wind, noise and pollution can diminish our outdoor enjoyment, unless we devise multifunctional, well-constructed frameworks. 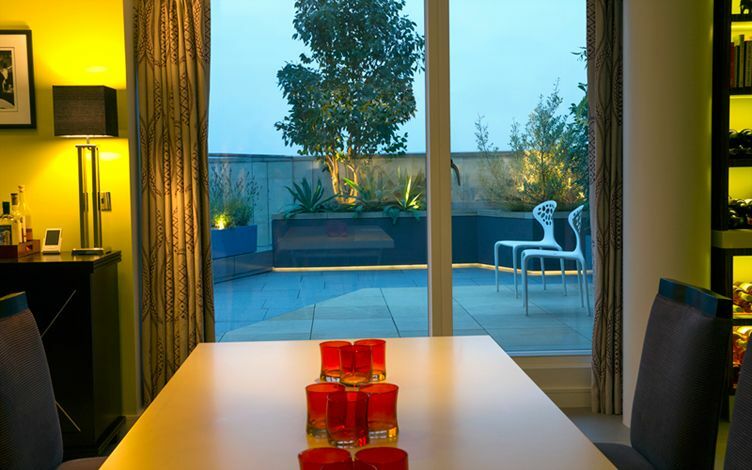 By situating optimal roof terrace ingredients within suitable aspects, we create liveable penthouse roof terraces as personal, intimate retreats. With infinite coordinate lines crisscrossing the capital's roof gardens, dispatching renewed vistas every single day, we continually expand our ceaseless exploration of new landmarks in their skyline. 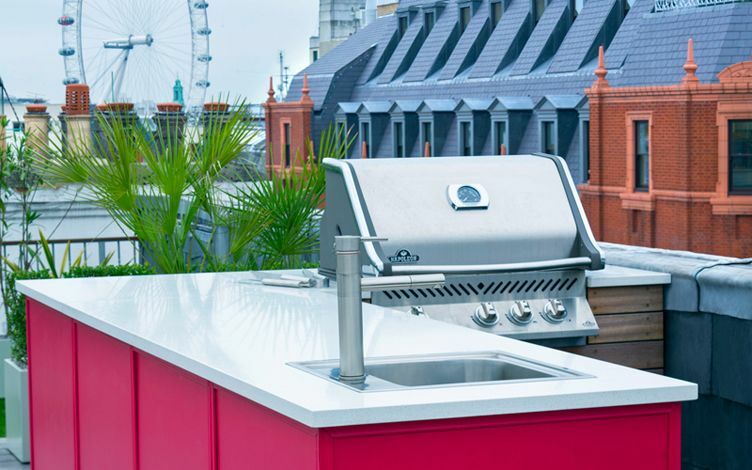 The city's aerial views are slowly but surely becoming more eclectic, jam-packed and built evermore higher, while distinct, Landscaped rooftop terraces are firmly embedded in our Londoners' penthouse mindset. 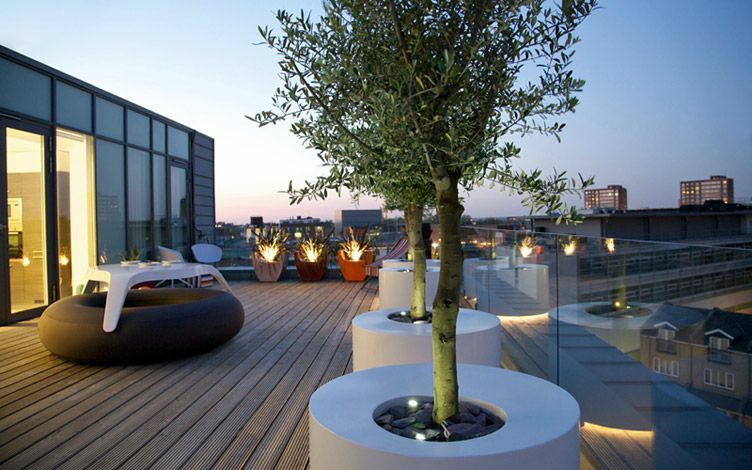 We infuse this growing, universal notion into roof terrace designs, where each worthy panorama remains an inherent, thriving element of an outdoor space and its intrinsic backdrop, within London's engaging aeriality.